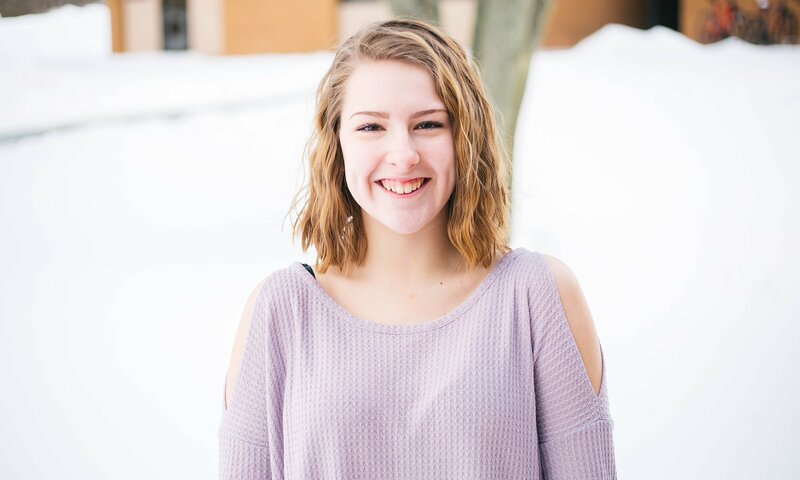 Here are just a few reasons Liz Trent (’22) loves Concordia and why she encourages her Valley Lutheran High School classmates to consider CUAA for their college education. 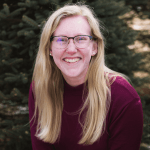 Growing up I always attended private Lutheran schools, so naturally I was looking for a place where I could develop the knowledge and skills I needed for a future career as well as those I needed for my future faith. When looking into Concordia I found that it was a place that focused solely on those two aspects. It looked and felt like a place where I could feel safe, while also getting the college experiences I was looking for. Why should someone from Valley Lutheran High School choose CUAA? I highly recommend CUAA to my alma mater because of how much Christ is emphasized in every area of their programs. My old high school focused on the family aspect faith combined with education, and that’s exactly what CUAA does. They make sure that their mission statement of helping every student grow in mind, spirit, and body fully comes true, and then some. Concordia goes out of their way to ensure that you have all the resources needed to accomplish growing in every one of those areas, and to be prepared for the working world. I think that the most common myth that isn’t true about Concordia is that you won’t get a ‘normal’ college experience from a private Christian college. If anything I’d say that you get a better experience than most because of how personalized it is here. Professors know you by name, and they work with you through any problems that you may encounter in their class. You also get to know pretty much everyone attending CUAA because its such a close community. When walking to and from classes, you’ll see familiar faces everywhere and that’s something that you don’t get at most colleges. Our sandwich station in the cafe has something special that you just have to try anytime you come to CUAA. The man in charge of making our sandwiches, Chris, has a special sauce that he makes himself, and it is unlike anything you’ve ever tasted. It’d be hard to pick just one memory that sticks out from my first semester at CUAA simply because of how many positive experiences I’ve had. I have great memories from just hanging out in my suite with my roommates, memories from dorm events that we’ve held where everyone gets together, but then also great memories from events we’ve had where the whole school attends. Last semester around Halloween, our dorm held a pumpkin carving contest and being able to work together with my roommates to get 1st place was probably the highlight of my first semester at CUAA.